Dredging can be dangerous work if your employer is ill-equipped to provide their employees the safety needed. Regardless of the size and stature of the company, maritime workers can suffer an injury through no fault of their own. Dredging is no exception; operating complex and incredibly heavy machinery is dangerous work that could lead to dredging injuries. 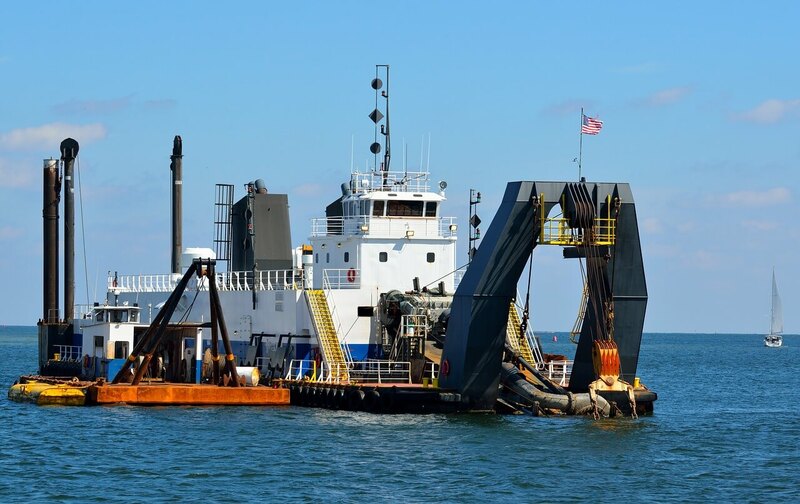 The Bureau of Labor Statistics estimates that 1,410 people were employed as dredge operators in May of 2017. Despite the number of people being employed as dredge operators being relatively low, the chances of serious injury are high. In this blog post, we will briefly cover the possible causes of injury. We will also discuss your rights as a maritime employee. If you have been injured in an accident similar to those described, contact Friedman, James &Buchsbaum, LLP. We can help every maritime employee overcome injury and receive the compensation they deserve! By the very nature of the profession, the range of injuries that could occur while dredging is expansive. A personal injury case could vary from crane failure while carrying literal tons of sediment, to something that seems small by comparison like hypothermia—which can also be costly. In September of 2018, a dredge pipe explosion in Seaside Height, NJ put countless employees at risk. Fortunately, there were no casualties, but when the suction pipe burst, but three men did sustain injuries. As of the writing of this blog, they are still unsure what was the root cause of the burst. Regardless, unless all 3 workers were being grossly negligent they deserve compensation. In March of 2018, a dredge flipped when the boom was moved too quickly, causing the barge to roll and eventually flip. In this particular case, the stabilizing equipment aboard the dredger did not function properly. The equipment trainer’s ability to teach will be a subject of discussion. Falling over equipment while aboard a dredger, losing a finger due to a pipe, or falling overboard are just a few more examples of possible injuries a dredge operator could sustain. Working aboard a dredger can be dangerous work, but as a maritime employee, every safety precaution must be available. If you find your employer isn’t providing you with the safe environment then they are putting you at risk. Friedman, James &Buchsbaum, LLP is here to provide with best working conditions possible and provide financial comfort if you are a victim of an accident.